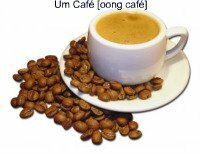 Do you want to learn the Portuguese pronunciation? Before we go through the pronunciation, let me, first of all, congratulate you because you already know how to spell words in Portuguese. Oops! If you don't, please click here for European Portuguese or click here for Brazilian Portuguese. That was a very good achievement! Well done! Now, the next step is to understand the right pronunciation to speak Portuguese. Portuguese pronunciation is known as very difficult. But, in fact is quite straight forward. 2. Where a word is stressed. 3. If a word has written accents (little signs on top of a vowel). 4. You normally read every letter except if a words starts with H.
So, 4 basic rules to understand the Portuguese pronunciation. Things are only difficult up to the point where we get to know them, and control them. Portuguese pronunciation is no exception.And when we know how to do things we don’t find them difficult anymore, do we? Imagine when you didn’t know how to drive a car! Then, you learnt how to do it and now it’s piece of cake. Now, at the same time, you can control the wheel, the gears, the pedals, the radio, the window, the mirrors, the conversation you are having with that partner who’s travelling with you, the traffic lights, the road signs, the pedestrians, the other cars and the way you are heading…! Or when you tried to cook that favorite dish of yours on your own… Controlling the frying pan, the temperature, the onions, the boiling water… and so on! The same will happen when you learn a language! That’s because they didn’t learn it properly. That’s because they gave in to the difficulty. That’s because they convinced themselves it was difficult. You are not like that! You are here reading this because you believe, as I believed, that it is possible! Because you see thousands or millions of other people speaking a second, a third language, or even more! It’s real! It’s possible! It’s out there for us to confirm. So YOU also can speak Portuguese! 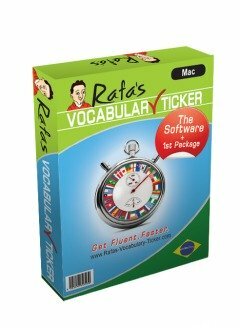 With a great Portuguese pronunciation, with great knowledge, with great confidence! We are here together and together we’ll get it. This is for sure! Ok, so let’s go straight to business! Let me show you how the Portuguese pronunciation is easy. There are a few things we must consider to get the Portuguese pronunciation right! Let’s stat with the easy rules first. 1. 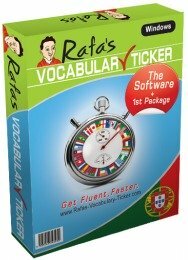 Via rule Portuguese words are stressed in the second last syllable. You right! Let me explain. Words are divided in parts - so let's call each of those parts a syllable. For instance the word COM-PU-TER has 3 parts - 3 syllables. This is one of the main secrets to get a good Portuguese pronunciation. The best way to figure out how many syllables (or parts) there are in a word is imagining that we have to shout out loud that word at someone who is quite far from you, but in a way that is perceptible. So, now imagine that one of your friends is on the other side of a very wide and busy road and you have to make him/her hear the word ‘computer’. So you raise your voice and shout COM-PU-TER !!!! Well, you see? Automatically you found out that the word computer has 3 parts, or in other words, 3 syllables. Normally, in Portuguese, each syllable has a vowel (I mean A, E, I, O, or U). There are no words with more than one vowel in each syllable, unless in very specific cases – diphthongs for instance - but you don’t have to worry about this for the time being. So, most Portuguese words are stressed in the second last syllable. One of the reasons why people think that the Portuguese swallow the words when they speak, and say that Portuguese pronunciation is weird, is because they don’t know this rule. In fact, they do swallow parts of words, but for a reason and we’ll learn why! You can see my video here, which will teach you in a funny way how to pronounce Portuguese words, and it will explain the way it works in a more visual way. In every language you have to stress the words in the right place, otherwise people won’t understand you. People wouldn’t even understand each other. Once you pronounce the word in the right place you can“swallow” the rest of it or run it together with the next word. So, let’s try to pronounce some words. Remember to give emphasis to the 2nd last syllable. Pombo, Como, Pedra, Vida, Convida, Vandalismo, Chumbo, Bastante, Ambos, Comerio, Magricela, Humorado, Bengala, Namorada, Camioneta, Conto, Rapazes, Mulheres, Compras, Vendas. I think it's now time to read some sentences. Stress the word in the part in bold. b)	Como ele come a comida. c)	O livro tem folhas. d)	As folhas do livro lembram outro livro velho. e)	Eles compram jornais e revistas. f)	A minha prima tem mais livros do que a minha vizinha. Now try to read the same sentences without help. Remember the Portuguese pronunciation rule! a)	Como ele come a comida. Provided that you stress the word in the right place, the rest of that word is almost silent. This is another secret to get your Portuguese pronunciation perfect. That’s why people think that Portuguese native speakers ‘swallow’ the words. 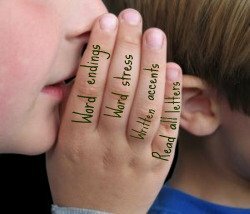 What they actually do is, they silence the last part of the word after the stress, or they run that word together with the next one. And as you can see, that’s not that difficult after all. Imagine when you will start swallowing parts of the words yourself! You’ll be speaking Portuguese to the Portuguese, with a fantastic Portuguese pronunciation, like the Portuguese themselves! You know, every little thing I learnt, every little achievement I reached when I was learning a different language, was like a prize for me. So, I believe it will be for you too! I felt richer and richer every day, up to a point that I started to win discussions and debates with English native speakers. All of a sudden I started to realize that I knew things that others didn’t! This was because I could feel those things, and understand the way languages work. I got more and more motivated, and confident to learn everyday more and more! To learn a foreign language we kind of need to be aware of our own language. By the way, do you know the difference between ‘practise’ and ‘practice’ in English? Try to find out! This is just to stimulate your curiosity for your own language. Let’s carry on with Portuguese pronunciation! 2. Words ending with L, Z, R, U and I, are stressed in the LAST syllable. Well, this is piece of cake, isn’t it? All you have to do is to remember these endings and no matter how long the word is, you know that the last part of it is the one to emphasize. This rule is very important to get a Portuguese pronunciation just right. Now try to read the same words without any help. Mind the Portuguese pronunciation rule! Please remember that you will achieve excellent results if you watch the videos available for this Portuguese pronunciation unit. The video documents will provide you with practical exercises and reinforce your Portuguese pronunciation practice in order for you to learn quickly and fast. 3. Written accents are stronger than any other rule. Yes, in fact, if you have a word that has a written accent you must ignore all the other rules. By stressing a word where the accent (little sign on top of a vowel) is, allows you to get a perfect Portuguese pronunciation. I know, I know, it’s a pain when you are trying to remember something and having to follow so many rules. I know! At least you have rules to follow. The English language, as well as many other languages in the world, has fewer rules to follow, especially because it has an original influence from many other different languages. That’s one of the reasons why some foreigners found it really difficult to learn English. But the good news is, because Portuguese is a Latin-based language, it’s based on rules and, once you know them and follow them, you’ll be speaking accurately, properly, and with a good Portuguese pronunciation as well as any Portuguese native speaker. The acute accent is the strongest one. You’ll normally find one written accent only per word, but, obviously, you’ll find a few words with 2 different accents – for instance órfão, órgão, etc. After all, the exception doesn’t make the rule, does it? The acute accent stresses a word in other syllable but the second last. Secretária, Automático, Geográfico, Síntese, Fantasmagórico, Controvérsia, Água, Óptimo, Conteúdo, Pronúncia, Ambíguo. You see, reading a Portuguese word with written acute accent is not difficult. You have to stress the word where the accent is. On the other hand, the grave accent is used only on top of the letter A. So you’ll find 7 words only that in Portuguese use the grave accent. The circumflex accent basically doubles the vowel when the word is short. For instance you have to double the vowel to say ‘têm’ [tay-eng] rather than ‘tem’ [teng]. Otherwise it is used instead of an accute accent to stress the words in a particular syllable (especially words ending in ...ência or ...ância). The tilde (o til) on its turn makes a vowel nasal. Hey! You don't need to have flu and have your nose running to pronounce these words...! There are many words in Portuguese with a nasal sound. Nasal sounds are normally associated with diphthongs. A diphthong is a group of 2 vowels that together make a specific sound. And in Portuguese these diphthongs are normally, but not always, stressed with a tild. ão [ahung] – limão, religião, coração, reunião, contemplação, manifestação, estação. ãos [ahungsh] – mãos, irmãos. õe [oing]– põe, compõe, dispõe, repõe. ões [oingsh] – regiões, tentações, limões, espiões, colchões, religiões, canções, padrões. Sometimes diphthongs can be tricky in the Portuguese pronunciation. For instance if you have words ending with ai, ei, au, eu, ou, iu, whether followed by s or not the stress is in the first vowel. 4. You normally read every single letter in a word. , except the H that is always silent. All words that start with a H you just ignore that it is there. (e.g. Hospital). OK, And that's it! I think we are done! d) Read every single letter. Now, it’s time to get familiar with the different sounds of certain letters. 1. It has the sound [SSSS] like the English word “social”. a. When at the beginning of the word [S...] - sapato, saco, suco, etc..
b. When is double in the middle of a word [...SS...] – profissional. 2. It has the sound [ZZZZ] like the English word “zebra” when the S is in between 2 vowels like: coisa, casa, causa. 3. It has the sound [shh] like “shame”. a. When at the end of a word [...s] e.g. reis, cadeiras, camas, panos. b. When before another consonant but ‘s’[ ...st] – costa, constante, costume, cesto, sistema. Having said that, it's time for a coffee. Oh, but before you go let's read some words. I’ll help you with the first 2 words, you do the rest. Well done! You can grab a coffee and come back. Well, I believe that while you were preparing your coffee you wanted to read something in Portuguese. Hold on! Not just yet.Let's learn a few things first. So in this case all we have to do is to know the words to find out which sound a certain word has. When in doubt, a good dictionary will be your best friend. But I have good news for you: there aren’t many words with an X in it, so you don’t have to worry much about it. [sss] like comunicação, açúcar, Açores. This letter works only with the vowels a, o and u. Due to the etymology (or the origin) of the words, some words have to be spelt with a Ç but need to have the sound [sss]. The A can be open and closed. Normally the A is open at the beginning of a word, and closed at the end. The E can also be open and closed in sound. The closed E is more common, and it has the sound like "emancipation, in English. Some words we may found difficult to pronounce when reading... We must remember that via rule we have to pronounce every single vowel when reading a word in order to get a great Portuguese pronunciation. Now that you know all the Portuguese pronunciation rules, let’s go for a challenge! 1. Try to read the following texts. 2. Please don’t worry if you don't understand what you are reading. This is not the aim of this exercise. 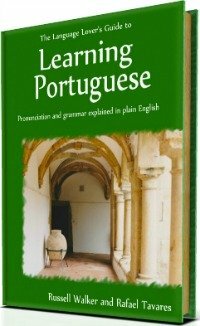 The aim is to practise your Portuguese pronunciation. 3. Start slowly and record your voice if possible. 4. Then listen to your own voice and underline the words you find that are wrongly pronounced. 5. Read the texts again correctly. Click the green arrow below if you want to listen to Daniela Rego (a Portuguese native speaker and a colleague of mine) reading the texts. Ah, by the way, let's thank her for her contribution. Well, I just know you can do it! Text 1 to practise your Portuguese Pronunciation. Click on the player to listen to the text while you read it. Try to keep up with the same pace whilst you read out loud. Lisboa, vinte e seis de Janeiro de dois mil e cinco – Os medicamentos genéricos contribuíram para uma poupança de mais de cento e trinta e cinco milhões de euros entre Janeiro e Dezembro de dois mil e quatro, tendo atingido no final do ano uma quota de mercado de nove vírgula oito por cento, nunca antes conseguida. Segundo dados quantitativos da I.M.S. Health, entidade de estudos de mercado da indústria farmacêutica, e análise da responsabilidade da Apogen – Associação Portuguesa de medicamentos Genéricos - no ano passado o mercado nacional global de medicamentos ultrapassou os três mil milhões de euros, dos quais duzentos e cinquenta milhões correspondem à venda de genéricos. Comparativamente com o ano anterior, a poupança aumentou sessenta por cento o que corresponde a cinquenta e três vírgula cinco milhões de euros. “É um acréscimo espantoso dos benefícios para os doentes e para o Estado”, afirma o presidente da Apogen, João Félix. “Estamos a ajudar muitas pessoas que precisam e que, sem os medicamentos genéricos, não teriam acesso às terapias”, acrescenta a mesma fonte. Satisfeito pela evolução verificada, este responsável atribui parte do êxito conseguido aos médicos, “porque são eles que prescrevem os medicamentos” e aos farmacêuticos, “que interpretam a prescrição dos médicos, fornecem o medicamento de menor preço e, assim, ajudam o doente a poupar”. Segundo a Apogen, a poupança conseguida deve-se, sobretudo, ao facto de os medicamentos genéricos serem trinta e cinco por cento mais baratos do que os originais e beneficiarem de uma comparticipação extra de dez por cento. “Além da maior acessibilidade que permitem aos doentes, os medicamentos genéricos contribuíram também para a redução dos preços dos medicamentos originais, o que acaba por ser outro factor de poupança que não está aqui contemplado”, sublinha o mesmo responsável. A Apogen defende abertura do mercado a empresas inovadoras. Para a continuação da poupança, a Apogen defende que a política do medicamento deve continuar associada a medidas com vista à estabilidade do mercado, proporcionando a inovação e a vinda de novas empresas de medicamentos genéricos, dispostas a comercializar novas moléculas para áreas terapêuticas diversas. “Sem renovação, o mercado corre o risco de estagnar. É essencial criar condições que motivem a indústria a investir em novas substâncias genéricas”, alerta João Félix. A Apogen defende, por exemplo, a flexibilização do actual preço de referência, que considera “muito redutor para as empresas que pretendem investir no lançamento de moléculas menos rentáveis”. João Félix considera que “o nosso país é um dos melhores exemplos de implementação dos medicamentos genéricos na Europa”, mas que é necessário prudência para garantir a continuação do êxito. Text 2 to practise your Portuguese pronunciation. Lisboa, sete de Fevereiro de dois mil e cinco – “A indústria farmacêutica de genéricos está a tornar-se a principal fornecedora de medicamentos dos cidadãos europeus”, afirmou o Director-Geral da EGA (European Generic Medicines Association) num encontro anual realizado em Londres. Segundo Greg Perry, os medicamentos genéricos já representam quotas entre sessenta e setenta e cinco por cento do mercado farmacêutico na Europa Central e de Leste. Nos países do Norte da Europa, como o Reino Unido, a Alemanha, a Dinamarca e a Holanda, estes fármacos representam entre quarenta e cinquenta e cinco por cento do valor do mercado farmacêutico. “Estes países descobriram que podem confiar nos genéricos e que, graças a eles, fornecem aos seus doentes medicamentos de qualidade a preços significativamente mais baixos”, afirmou a mesma fonte. O Director-Geral da EGA apresentou o caso de Portugal como exemplo do empenho para implementar medidas que ajudem a desenvolver medicamentos a preços acessíveis para os doentes. Além de Portugal, Greg Perry aponta também os casos de Espanha e de França, onde a quota de medicamentos genéricos se situa entre os dez e os quinze por cento. Em Portugal, o patamar mais alto de sempre do mercado de medicamentos genéricos foi atingido recentemente, com uma quota a rondar os dez por cento. A Apogen – Associação Portuguesa de medicamentos Genéricos, representante da EGA em Portugal, defende que o mercado nacional destes fármacos tem boas perspectivas de crescimento, desde que sejam tomadas medidas prudentes. Segundo João Félix, representante da associação, “o nosso país é um dos melhores exemplos de implementação dos medicamentos genéricos na Europa, mas para continuar a evoluir necessita de estabilidade legislativa”. A Apogen defende a criação de condições que motivem a vinda de novas farmacêuticas para Portugal, “desde que estejam dispostas a trazer novas substâncias genéricas, de forma a alargar a diversidade da oferta a mais áreas terapêuticas”. Num momento em que Portugal tem até trinta e um de Outubro para transpor para a lei nacional as directivas comunitárias referentes à legislação do medicamento, a EGA alerta que a implementação dessas medidas é a chave para o sucesso da legislação. O aumento da esperança de vida das populações torna os medicamentos genéricos uma necessidade em toda a Europa – apelidada por Greg Perry como “a necessidade genérica” – por permitir estender os cuidados de saúde a mais pessoas. Greg Perry falava no oitavo Encontro Anual sobre Assuntos Regulamentares da EGA, que decorreu entre dois e quatro de Fevereiro. O evento reuniu uma audiência recorde de representantes da indústria europeia de medicamentos genéricos, comissões oficiais da Agência Europeia do Medicamento (EMEA) e alguns dos vinte Estados Membros da União Europeia. Texts adapted from EMEA website 2005. Go Back From Portuguese Pronunciation to Basic Phrases.